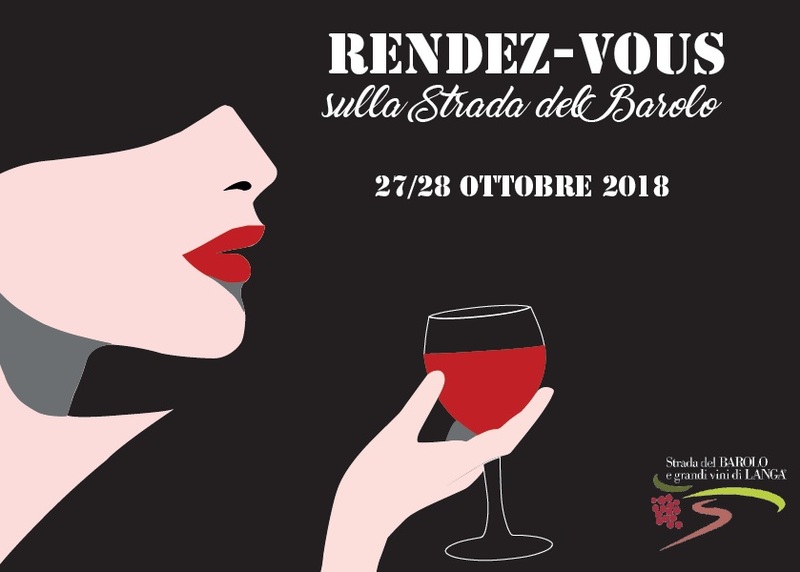 Saturday 27 and Sunday 28 October, the weekend dedicated to wine and Langhe lovers returns with several original proposals by Strada del Barolo! 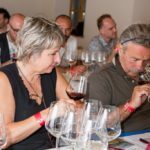 This will be a unique opportunity to discover all the Autumn charm of the hills that make up this UNESCO World Heritage site: two days completely dedicated to wine lovers and those who are fond of Langhe. 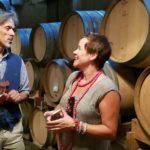 On offer are several itineraries to discover wine cellars and producers, wine shops, restaurants and farm holidays where one can indulge in the good life. 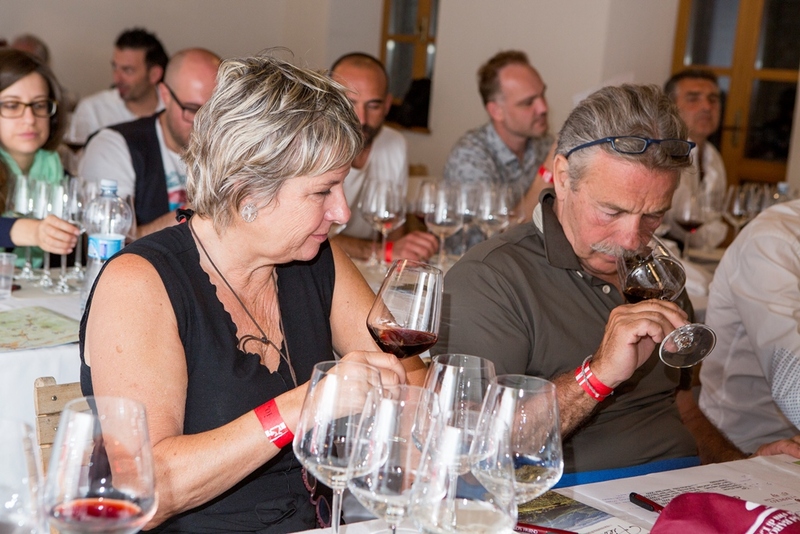 Sunday, 28 October 2018, Strada del Barolo organizes a new appointment named “The Barolo vineyards: tour of the crus with tasting”. 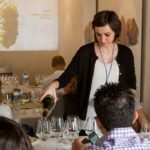 Tested for the first time in Spring of 2018, this event includes a tour with minivan through the main Barolo production areas, with the guidance of Davide Pasquero, expert sommelier and wine communicator, to understand and “touch” the factors that determine the traits and many facets that Barolo can take: altitude, soil composition, exposition, etc. 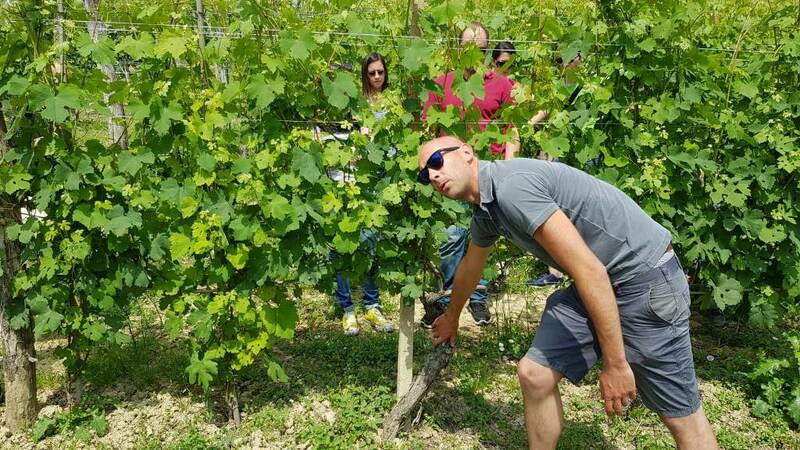 The tour will start at 15.00 from Piazza Generale Vassallo, in Castiglione Falletto to reach Serralunga d’Alba, in the so called area of the Helvetian Barolo. Here, where there is the first cru of the day to visit, the chalky-clayish soil leads to a well structured and alcoholic Barolo that lends itself to a long aging. 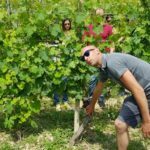 The group will then move to La Morra to visit the second cru in the Tortonian Barolo area, a geologically younger region high in marl, with sandy soils which results into refined and elegant wines. The third stop will be in Barolo, an area that gathers the traits of the previous ones, with soils unbelievably rich in microelements. 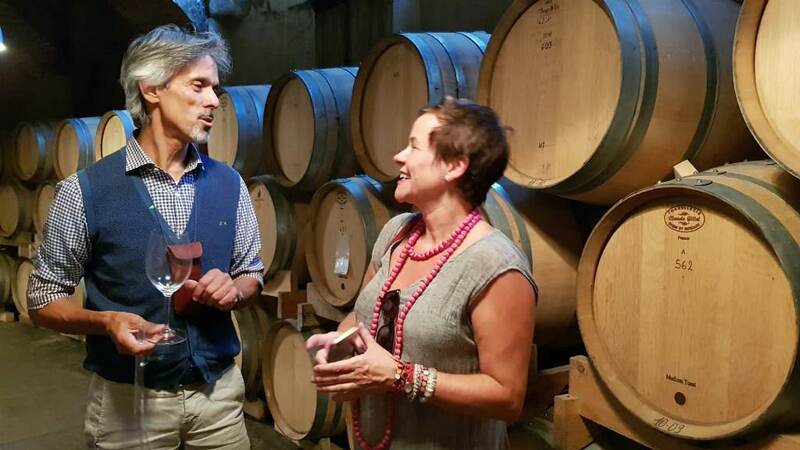 The tour will then return to Castiglione Falletto where, at Cantina Comunale, the Municipal Wine Cellar the group will have the opportunity to taste the wines produced in the crus visited, paired with mixed cheeses and cold cuts. 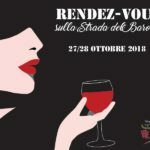 Furthermore, like every year, Strada del Barolo has invited all its members to offer their services to tourists, with several special offers only for the weekend of 27 and 28 October 2018. Free visit and tasting: walks in the vineyards at 11.00 am and 4.00 pm. Opening hours: from 9.00 am to 12.00 pm and from 2.00 pm to 6.00 pm. 2-hour visits with tasting, scheduled at 10.30 am, 2.30 pm and 4.30 pm. Price: 15 €. 10% discount on the wine purchase. 10% discount on the visit with tasting in the wine cellar. The tasting will include 4 types of Barolo. Price: 10 €. 10% on the wine purchase. Visit and tasting of a 2014 DOCG Cannubi Barolo + 3 stem glasses of red DOC wine at a cost of 10 €. Free tasting if followed by a wine purchase of more than 50 €. Opening hours: 10.00 am – 12.30 pm; 2.00 pm – 6.00 pm. Visit in the wine cellar with tasting at a cost of 5 €. 5% discount on the DOCG wines and 10% discount on the DOC wines purchase; visit with free tasting if followed by wine purchase. Discount on the visit in the wine cellar with tasting of 6 wines paired with traditional cold cuts and mixed cheeses: 29 €. Special opening hours, Saturday and Sunday: from 10.00 am to 5.00pm. Visit in the wine cellar with tasting at a cost of 10 € per person, upon reservation. 10% discounts on the wine purchase. Visit and tasting with reduced price, 10 €. Visit and tasting of 4 wines, included a stem glass of Barolo, at the price of 10 € per person, upon reservation. 5% discount on the purchase of at least 6 bottles. Free visit to the wine cellar and 50% discounts on the tasting of “I Classici”, at a cost of 6 €, upon reservation. 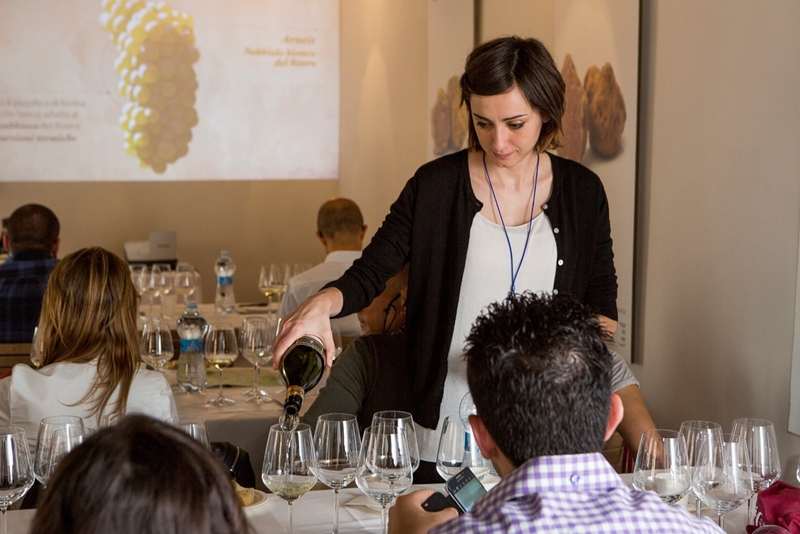 Visit to vineyards, wine cellar and tasting of three wines at the discounted price of 10 €. Visiting hours: from 10.00 am to 7.00 pm. Visit to the wine cellar with wine tasting Saturday 27 October 2018, from 9.00 am to 1.00 pm and from 3.00pm to 7.00pm and Sunday 28 October 2018, from 9.00 am to 12.00 pm. Menu with 4 dishes: 50 € per person. Wine pairing: 30 € per person. Valid on Saturday 28 and Sunday 29, at midday, from 12.00 pm to 2.30 pm and in the evening from 7.30 pm to 9.00pm, upon reservation and subject to availability. 10% discount on overnight stay: 1 night in a standard room 85,50 € with free visit in the wine cellar included; 1 night in a suite 162 € + City tax. Free visit and tasting, 10% discount on the wine purchase. 10% discount on the overnight stay.